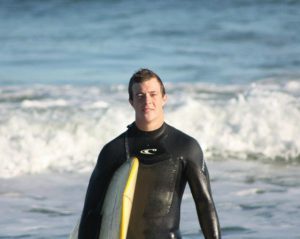 Surf Camp Welcomes John Larkins Back to our Team! John recently returned from Peace Corps service in Romblon, Philippines where he served as a Provincial Response Volunteer working in ecotourism development. He will be coordinating our overnight kid’s program, Carolina Ocean Odyssey. We are super excited to have him re-join our team as a year round program coordinator!